It was cold when we arrived in North Charleston, S.C., the first night on our honeymoon. But the Holiday Inn Charleston Airport & Convention Center was a welcome respite after the long drive from Orlando. If you have a perception of what a Holiday Inn is like, get those old ideas out of your head. This is the new era. I noticed the more upscale appearance of the hotel as soon as we walked into the lobby and noticed modern contemporary furniture and lighting. The theme continued into our hotel room, which was a spacious suite with living room, large flat screen TV, upscale bathroom (with Bath & Body Works soap and lotion), and comfy bed. It was too late to eat dinner at the hotel, but they had a full-service restaurant and lounge, that I was anxious to try. The next morning, we checked out the historic downtown area of Charleston. I definitely recommend visiting this area, mainly to see the historic French homes of the Charleston Quarter. We loved walking around Downtown, which has stores with all the major name brands represented. This area has the feel of New Orleans but is a lot cleaner. *Note: This is the first in a series of blogs about the hotels, food, and experiences we had during our recent honeymoon to Charleston, Asheville,Gatlinburg, Tenn., and the Smoky Mountains. Stay tuned for more! I already knew I liked Patisserie Caffe, a little known French and German bakery and sandwich shop in Lake Mary, Fla., which is located off of I-4 and 46A, in the same shopping complex as FishBones and Applebee’s. Then, when I was in the other day (ordering the best Tomato Basil soup I have ever had and authentic French almond tarts), I noticed the owner’s heartfelt letter to her customers. Elsa Jakubzick talks about how she was always taught that, a person expresses their love through their work. And how she puts love into each cookie, tart, and cake she bakes. She believes her customers can really taste the difference, and I believe that too. A former electrical engineer, Elsa decided two years ago to spend her days doing something she loves. I recommend trying the almond tarts, but the extensive Caffe Patisserie menu also includes: lattes, cappuccinos, quiches, elephant ears, Normandy Apple Tart, apple strudel, and Grilled Ham Panini sandwiches. I love the atmosphere here too: unique china tea cups sit on the shelves along with a vase of lavender flowers, reminding me of France. Visit the bakery at 1541 International Parkway, #1021, Lake Mary, Fla, 32746, or on the web: http://www.patisseriebakery.com/. *Please subscribe to this blog by email or follow us at the bottom of this page. Every year, I get excited about Gaylord Palms Resort’s ICE! event, where you get to don parkas and sip hot chocolate while walking through a winter wonderland of ice sculptures on the hotel’s property. This year, I am looking forward to it even more, since Gaylord switched things up and added DreamWorks’ “Shrek the Halls” to the event. The DreamWorks’ experience includes the option to see “Puss in Boots 3D” with gourmet popcorn, ShrekFeast interactive character meals, and a DreamWorks’-themed scavenger hunt. ICE! runs from November 16 through January 2, 2012. For information on ICE! and DreamWorks’ Shrek the Halls, visit: http://www.gaylordhotels.com/gaylord-palms/christmas-in-orlando/ice-experience/index.html?intcmp=gp-pl=lNav-cid=bofc-ice. I was recently lucky enough to be invited to a media dinner featuring Seasons 52’s new fall menu. I would recommend almost every new dish! Seasons 52 in Altamonte Springs, Fla., has always been one of our favorite places in town to dine. We love their use of fresh food in season and we like how their chefs are able to make low-calorie dishes that taste great. The mini-desserts are to die for, and the new fall mini-dessert is no exception. It is – drum roll, please – Pumpkin Pie Mini Indulgence. Layered with gingersnap crust and whipped cream, the mini dessert tastes like a better version of the real thing. Now that I have covered dessert first, let me get on to the new appetizers and entrees. The Grilled Portobello Mushroom & Five Cheese Flatbread with truffle sour cream is so yummy, as is the Artichoke & Goat Cheese Flatbread. Meanwhile, I have never tasted quail with such a unique and delicious preparation. The Manchester Farms All-Natural Grilled Quail is served with bourbon-chili glaze and mashed sweet potatoes. The new Sesame Duck Salad is also one of the best dishes that I have tried at any restaurant lately. The duck on the salad – which also includes apples, toasted pecans, fresh mint, and cranberries – is very moist and has an Asian/ ginger type of flavor. Two wines that I tasted at the dinner that you should try are: Ramey Chardonnay, Russian River 2008 and Selbach Riesling QBA, Mosel-Germany 2010. 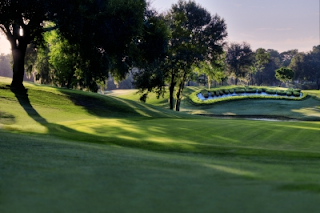 As you read in my last blog, we had a great stay at Innisbrook Golf Resort (www.innisbrookgolfresort.com) in Palm Harbor, Fla. I have to say, the resort’s impeccable service and excellent food is a big part of the reason why we had such an enjoyable time! 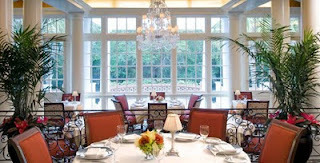 There are many places to eat around the extensive grounds, but the two main restaurants are Market Salamander Grille and Packard’s Steakhouse. Both eateries feature amazing food as well as excellent views of Innisbrook’s famous golf courses, including its Copperhead course. Market Salamander Grille has a wide range of appetizers, sandwiches, and entrees to fit most budgets and tastes. We had the Oven Roasted Wild Salmon & Crab Roulade, and the Blackened Tuna. The tuna was cooked exactly as we asked and had such a wonderful, delicate flavor. The wild salmon was also cooked perfectly, and the flavors were amazing. Other specialties to try at this restaurant include: Lobster Mac & Cheese, Miso Glazed Salmon, and Black Thai Shrimp appetizer, which features a sweet and spicy Malaysian dipping sauce. Packard’s Steakhouse is known for serving dry-aged premium steaks and lobster tails, but also has an extensive menu that includes unique desserts whipped up by the resort’s pastry chefs. The New England Lobster Roll served there is one of the best we have had. I also recommend the Kona Crusted Lollipop Lamb Chops, the lobster bisque, and any of the restaurant’s salads. Packard’s is currently running a special: Wine & Dine for $79, which includes dinner (salad, entrée, and dessert) for two plus a bottle of wine. I am happy we made the choice to stay at Innisbrook Golf Resort (www.Innisbrookgolfresort.com) in Palm Harbor, Fla., for our recent trip to the Clearwater area. Although most people know Innisbrook for its immaculate, rolling golf courses and the host of the PGA’s Transitions Championship, there is so much more to experience there. There is no doubt that this resort has some of the most beautiful courses in the world. Even though I don’t golf, I sat on my patio and enjoyed the luscious green course with numerous trees and ponds. We also enjoyed swimming in the resort swimming pool with waterfalls. I had the good fortune to get a massage at the resort’s Indaba Spa (www.SpaatInnisbrook.com). I would recommend the Signature Citrus Massage to anyone. The combination of a Swedish massage, plus heat and a citrus scrub, make for a completely relaxing and rejuvenating experience at the same time. The Citrus Massage is $130 for 50 minutes and is well worth the price. The spa has a unique feature: you can bring your iPod and plug it into speakers in each treatment room. It also has a peaceful labyrinth path outside. This is really the place to stay and relax for the day. The guest suites are a great deal too: they start at $590 per week for one-bedroom suites with full working kitchens. Then, there is the food. Check back next week for my review of both Innisbrook and Palm Harbor’s top restaurants. What to See & Eat in Clearwater, Fla.
We are planning a late August trip to the Clearwater/Palm Harbor, Fla., area and need your advice. What are some fun things to do there, that might involve hiking, geocaching, or simply lying on the beach? What are your favorite beaches in the area? I have been dying to go to Siesta Key beach, but it is nearly two hours south, near Sarasota. Another nearby attraction that we may visit is the Mayaka River State Park (http://www.myakkariver.org). 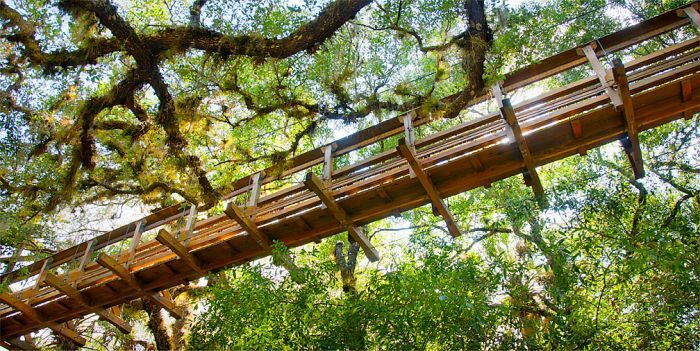 There is a canopy walk – high up in the trees – and you can take airboat trips on the lake. I am looking for some yummy seafood restaurants to write about for my restaurant column for Seafood Source (www.seafoodsource.com). Let me know your recommendations in the Clearwater area. Speaking of beaches, I heard about a neat contest. South Walton (www.visitsouthwalton.com) is running a contest, “Find Your Perfect Beach”, along Northwest Florida’s Gulf Coast. Through October 15, people who submit photos of their vacations and share why South Walton is their perfect beach destination on Facebook (www.facebook.com/VisitSouthWalton) will have a chance to win a seven-day vacation to the beach of their choice, and several other prizes. Yelp is hosting a free culinary and music event on July 7 at the Heaven Event Center in Orlando, Fla. Did I mention that the food, drinks, and music is FREE? Yelp’s “Fire and Ice” Gala, from 7:00 – 9:00 p.m., features sweets and food from CakeShooters, Jeremiah’s Italian Ice and Cocktails Catering. Drinks are provided by Orlando Brewing, Winter Park’s Grand Touring Vodka, vitaminwater, and Honest Tea. The entertainment will include a belly dancer, djs, a magic show, and fun from Games2U, and 02 Breathe. While the event is free, Yelp is encouraging people to bring donations to support United Arts of Central Florida (www.unitedarts.cc). 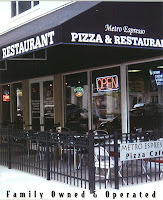 Address: 8240 Exchange Dr., Orlando, Fla., 32809. Meanwhile, I recently had the opportunity to try the new summer chocolate bar flavors from Seattle Chocolates (www.seattlechocolates.com). I would definitely recommend the new confetti Birthday Cake car, but the flavor of SC’s Campfire S'mores is just off. Overall, Seattle Chocolates’ products are yummy and can be found at specialty stores across Florida. 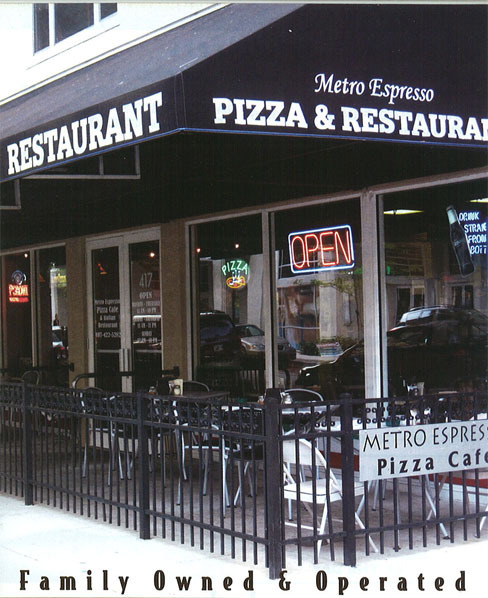 There is something so comforting about sitting outside your favorite café, sipping on a hot latte or a glass of wine. I love that many restaurants in Orlando let you bring your pet, while you are sitting outside on their patios. There was a flap a couple of years back about whether or not restaurants in the city should allow dogs. I am so glad the answer was yes! I am a big proponent of enjoying time with your pet, while appreciating nature and the great food that is being served. My dog owner friends say that among the top places to eat with pets are: RelaxGrill at Lake Eola, Spice, White Wolf Café, Metro Espresso Pizza Café, Dexters, Panera Bread, and Pisces Rising in Mount Dora. Relax Grill features a unique mix of Middle Eastern, Greek, and American cuisine – and, of course, a great view. The two Spice locations – one on Park Avenue and the other on Lake Eola – are also popular. Check out Spice’s extensive brunch menu on Saturdays and Sundays, with prices ranging from $9 to $12 per entrée. White Wolf Café, which sports vintage antiques and live entertainment, consistently gets rave reviews on its food from locals. Don’t forget to try the cinnamon rolls and the Greek focaccia bread. Meanwhile, Pisces Rising features a great view of Lake Dora and some of the best fresh seafood in town. Where are your favorite spots to eat with your dogs? Only open a few months, Hawkers Asian Street Fare is delighting the downtown Orlando restaurant-going crowd with something different. 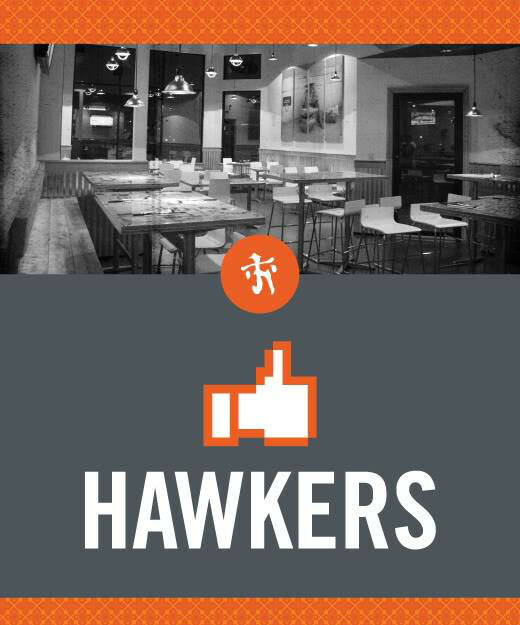 Hawkers, 1103 North Mills Ave., is named after street vendors throughout Asia who “hawk” their hand-made wares. Essentially, you are eating delicious Asian street food in appetizer-sized portions, priced much cheaper than entrees at most restaurants around town. You can order two small plates and unique beers and wines for $3 to $5 for a total bill of $15 to $20 each. Among our favorite dishes at this fun, casual spot are: Char Kway Teo (Malaysian stir-fried noodles with shrimp, chicken and scallions), pot stickers, and Hawkers Five Spice Fish Tacos. However, if you are expecting great service and the best Asian food you have ever had, don’t hold your breath. Hawkers is still working out its serving and communication kinks. I had a bad experience trying to order entrees without certain ingredients I am allergic to. It was impossible for Hawkers to alter recipes or get the order correct. 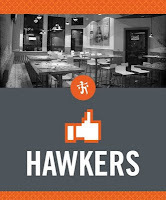 Still, I believe that Hawkers provides something new to the city, and will be around for a long time. Do you have relatives visiting Orlando this summer? 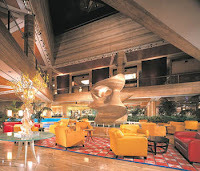 Tell them about some of the area hotels that are offering great deals and access to theme parks. 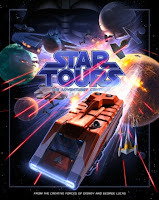 Tying into Disney World’s renovated Star Tours 3D attraction, The Clarion Inn Lake Buena Vista is offering Star Wars fans a rate of $55.99 per night. Available through June 12, the package also features a buy one, get one free breakfast and a buy one, get one free dinner. The hotel is geared towards families, and features Ozzie’s Splash Zone for Kids at its pool area. Another unique deal - the “Wizarding Wonders” package - comes from The Castle Hotel on International Drive. 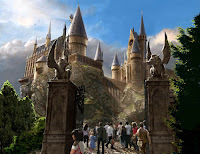 Guests receive accommodations, transportation to Universal Orlando Resort, magical potion beverages, and movie tickets for the final Harry Potter movie, which will be released July 15. Rates for the package, which is available through July 31, start at $144 a night. What are your travel plans this summer? Will you be taking a staycation, or visiting somewhere exotic. Let me know which cities and attractions you would like to receive travel advice on. *Note: Receive Flavorful Excursions’ posts by email. Submit your email address at the top of this page. 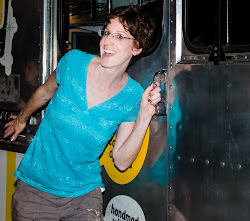 Apparently, Food Truck gatherings in Orlando are not as underground as I thought they were. When I walked up to the eight trucks at Lake Lily in Maitland at 6:30 Tuesday night, I was blown away by the number of people eating and listening to live music. And for good reason! From the outside, the casual-looking food trucks belie the gourmet and mouth-watering delicacies awaiting inside. Two of the most unique food trucks are Big Wheel Truck – which features gourmet skewers and homemade watermelon and Key Lime soda - and Tree House Truck. Tree House’s specialty is anything fried, including a deep-fried bacon cheeseburger between two Krispy Kreme doughnuts (8.00)! I would recommend trying Tree House’s Fried Twinkies (so amazing) and Fried Oreos for $2.50 each. Big Wheel Truck sports specialties such as Crispy Korean-Style Chicken Wings with Chili Lime Sauce for $6 each and Grilled Spicy Octopus Skewers with Chickpea Salad for $7.50. I had the delicious chicken skewer with chimichurri sauce for $3.50. At Winter Park Fish Co.’s truck, we enjoyed the most flavorful crab cake sandwich we have ever had. I was also impressed with the restaurant’s fish tacos, which have a nice, spicy seasoning. They are reasonably priced at $5 each or 3 for $12. I was not able to try some of the other trucks – including Korean BBQ Taco Box, Red Eye BBQ, and The Crooked Spoon - but I will next time. Don’t worry, my vegan and vegetarian friends. There are several options available at Big Wheel Truck, Tree House Truck, Yum Yum Cupcakes, and others. For dessert, there is a soft-serve ice cream truck and Yum Yum’s Carrot Spice cupcake for $2.50 was moist and yummy. Post your reviews on your favorite food trucks below. Info: Tuesdays, 6:00-9:00 p.m., 701 Lake Lily Dr., Maitland, 32751, and Wednesdays starting at 6:00 p.m. at Firestone, downtown Orlando. * You can now receive Flavorful Excursions by email. Sign up at the top of this page. Disney and Lucasfilm do not disappoint in their launch of the renovated, high-tech StarTours 3D attraction at Disney Hollywood Studios. 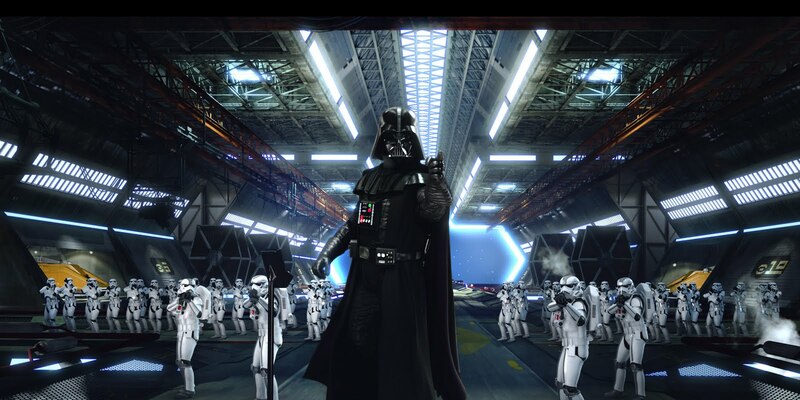 George Lucas himself and “Darth Vader” were on hand when Disney launched the new attraction on May 20 in Orlando. One of the best features of the new the 3D ride is that it is a different experience every time you go on it. There are 54 different rotating Star Wars’ movie themes that the sim ride takes you through, including the scenes we experienced: The Death Star, Kashyyyk, and Hoth. Dropping down into the Death Star from above is a dizzying experience, as is jetting between the skyscrapers on Coruscant. The neatest part about the ride is the addition of Yoda and other characters’ interaction with riders – I will not ruin the fun surprise for you. 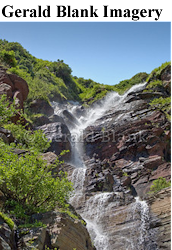 Note: Sign up to receive RSS feeds of Flavorful Excursions at the bottom of this page. If you are a salmon lover, this is the time of year to get the freshest, most flavorful salmon at your local seafood restaurant or steakhouse. Some say that the wild salmon from the Copper River inAlaska is the best – and it will start being delivered to restaurants over the next couple of weeks. The kickoff of the Copper River salmon season is a big to-do every year. This week, the prized fish arrived via an Alaska Airlines freighter plane in Seattle, and was delivered to three top chefs competing in a cook-off. Yummy recipes are available at www.alaskaseafood.org. Our dinner at Mitchell’s Fish Market in Winter Park, Fla., started out with general manager Rob bringing us an oversized plate of the restaurants signature appetizers to try: Spicy Asian Shrimp, Kung Pao Fried Calamari, Cajun Stuffed Lobster, and Bacon Wrapped BBQ Shrimp. The first two appetizers were yummiest, in my opinion. And the lobster bisque was one of the best I have ever had. It was also great fun to try Mitchell’s signature martinis, including our faves: Grapefruit & Basil and Elderberry & Pear. Now on to the best part of the meal: the entrees. We ordered Chilean Sea Bass, which Mitchell’s recently had certified as sustainable by the Marine Stewardship Council. I have never had a more tender piece of fish in my life, and you need to order it prepared “Shang Hai style”. The scallops were prepared perfectly, as was the lobster tail. Oysters from both the East and West Coast of the U.S. were so fresh, they tasted like they had just been plucked from the ocean. All of Mitchell’s desserts – made in-house – are scrumptious. I would recommend the Triple Chocolate Mousse Cake, the 7-Layer Carrot Cake, and the Key Lime Pie. Even though Mitchell’s features an upscale atmosphere and the quality of food served is top-notch, the prices are reasonable. Most entrees are $25 and below, and the restaurant’s daily “happy hour” from 4 – 7 pm offers half off of appetizers and drink specials for as low as $3. Location: Winter Park Village, across from the movie theater. 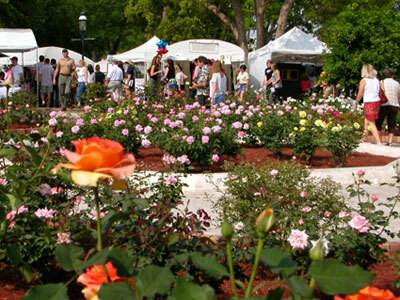 Every year, the Flower & Garden Festival is a great way to view creative greenery, while enjoying the park. In addition, HGTV stars like Vern Yip and Genevieve Gorder, along with Epcot gardening experts, hold classes on gardening and landscaping. Meanwhile, some great musical acts are gracing the stages at Epcot including Melissa Manchester – this weekend – along with Starship, Ricky Nelson, Davy Jones, and Herman’s Hermits. ﻿﻿Are you going to the Festival this year? The cherry blossom trees in Washington, D.C., are a beautiful sight. And I love visiting the city: seeing the unique and historic architecture, visiting the White House and Congressional buildings, and trying new foods in Chinatown and at the numerous outstanding eateries throughout the city. 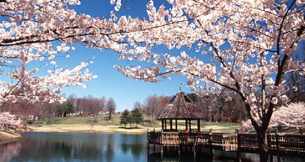 It is great that the National Cherry Blossom Festival, which kicks off March 26 and runs through April 10, combines the best of all worlds. The National Festival features music, interactive art demonstrations, children’s art activities, and outdoor performances that celebrate spring and Japanese art. This Thursday, March 24, a neat event associated with the Festival also aims to support those undergoing hardships in Japan. Starting at 6:30 p.m., people will get together and walk around the Tidal Basin in a “Stand with Japan” ceremony. The cherry blossom trees around the Monument were a gift from Tokyo to Washington, D.C. in 1912. 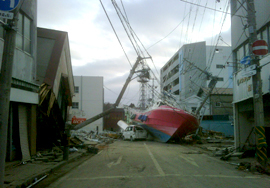 What a great way to extend some positive energy to the people of Japan. Aaaah, spring has sprung in the Sunshine State, and so have a variety of art and garden festivals. 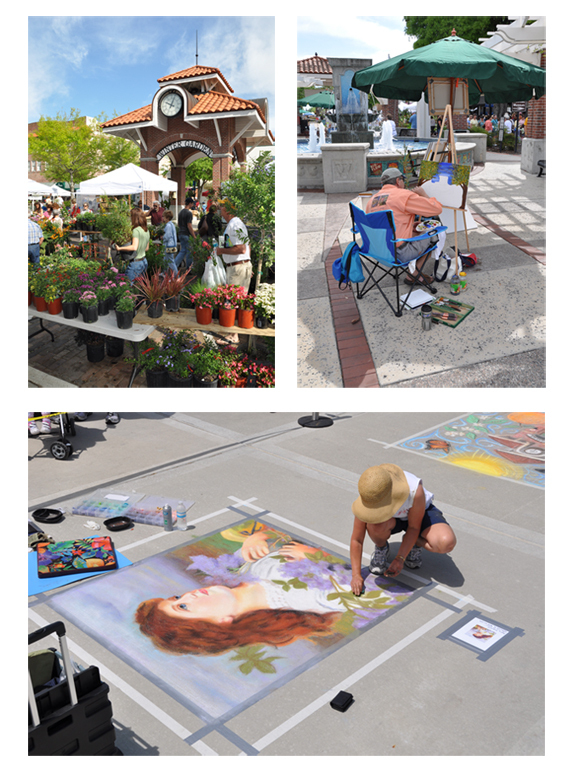 Today marks the start of one of my favorite local events – which draws around 1,200 professional artists from around the world – the Winter Park Sidewalk Art Festival. 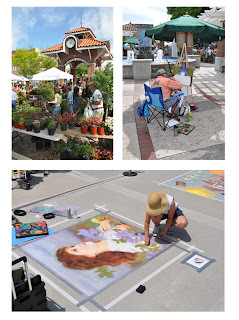 Held in Central Park, alongside Park Ave. in Winter Park, Fla., the annual Festival features some of the best paintings, photography, and sculptures I have seen at art festivals around Orlando. It is not only the art and culture, though, that draw me to the Sidewalk Art Festival every year. I love the rows and rows of booths serving up a variety of fair food. Among our favorites are the funnel cakes, kettle corn and caramel popcorn, corn dogs, grilled chicken pitas, and fresh-squeezed lemonade. You can also bring a blanket and listen to one of the many jazz artists playing through the end of the festival on Sunday. Over the next two weeks, we will be covering some of the other top spring festivals around Orlando and the state. Which ones will you be going to? "Top Chef" Season 7 contestants Ed Cotton and Tiffany Derry duked it out in a quickfire-style seafood entrée challenge in Dallas, Texas, recently. The charity event, sponsored by Sysco Sustainable Seafood, was set up to benefit Friends of the Dallas Furniture Bank, which provides furniture for those in need. 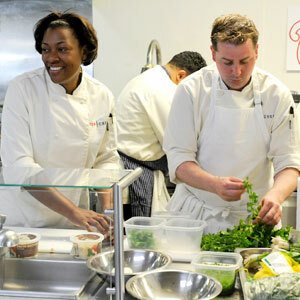 For all you Top Chef fans, who do you think won the event? Ed fought hard, but Tiffany won by one point! “She had home field advantage. She had a good group rooting her on and one person raffled from the audience was a guest judge,” Ed said begrudgingly, when we talked recently for SeafoodSource.com. Ed's comment made me chuckle, since Tiffany does often remind everyone on the "Top Chef All Stars" that she is from Beaumont, Texas. I don’t know what Tiffany made for the quick-fire, but Ed’s dish sounded delicious: Swordfish encrusted in multiple types of peppercorn, served with saffron and fennel jous. Do you watch Top Chef? Who do you have picked to win "Top Chef All Stars"? It was great fun talking to Ed Cotton, a finalist on Season 7 of "Top Chef", the other day. First, I have watched every season of Top Chef since it began. My boyfriend and I bet on who will win, at the beginning of the season. I often wonder what contestants do after the show - and how their lives and careers change - so I asked Ed about that when I interviewed him for SeafoodSource.com. The pace of his life has changed significantly. While Ed is still executive chef at Plein Sud, the Manhattan French brassiere he was hired on at before the show started, he is being pulled in a lot of different directions. “There are a lot of opportunities, interviews, events, and people wanting to know if I can cook for them,” Ed said. He also talked about the difficulty of balancing a personal life with such a hectic schedule. However, if he had it to do all over again, he would. “It has been a long journey, and all the hard work is paying off. I signed up for it,” Ed said. Several new cruise ships are coming on board this spring. Perhaps the most accessible to U.S. travelers is Carnival’s Cruise Line’s Carnival Magic, which sales May 1. Able to fit more than 3,600 passengers, it will e Carnival’s largest ship. What is different about this one is a kids’ water park called “Water Works” and hot tubs that extend beyond the stern – I think that is a neat feature. Meanwhile, AIDA from Germany is launching the 2,184-passenger AIDAsolon on April 9. My friends will love this benefit: AIDAsolon features a micro-brewery that has beer brewed from purified sea water! The ship also features a high-tech 4D theater, complete with moving chairs, air jets, and odors. Is anyone visiting Europe in the near future? Special thanks to AllThingsCruise for the inside scoop on new cruise ships.